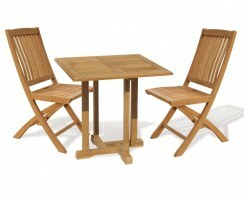 Our great-value Berrington octagonal gateleg table and folding armchairs set is modestly-sized yet infinitely stylish. 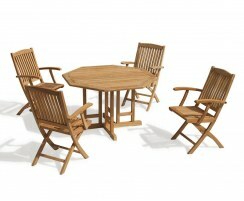 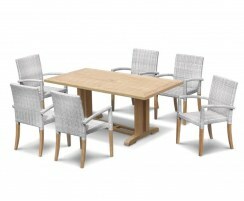 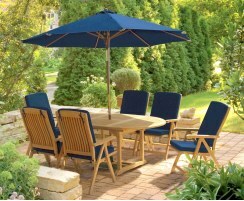 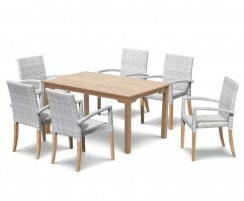 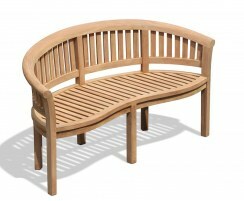 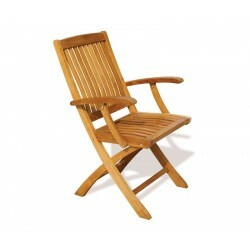 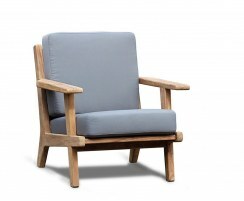 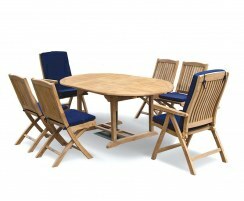 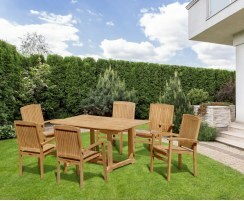 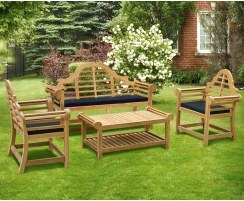 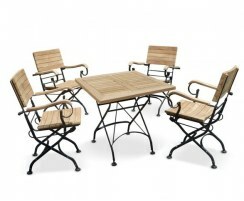 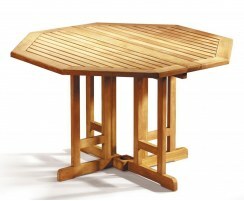 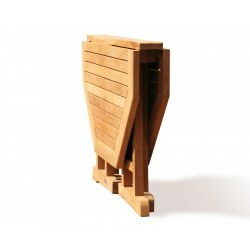 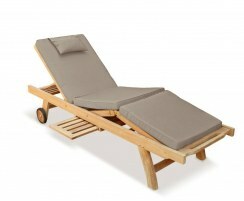 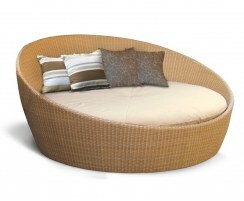 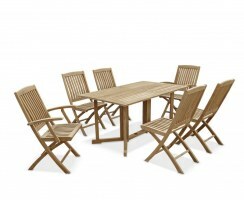 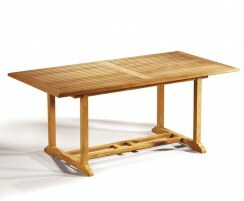 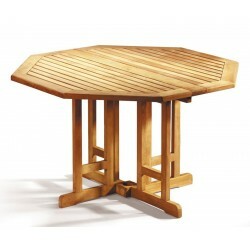 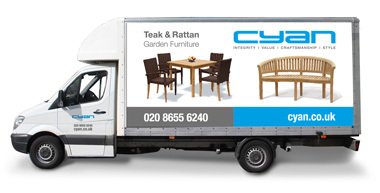 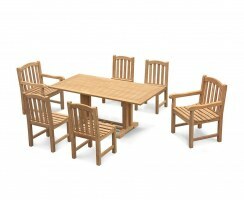 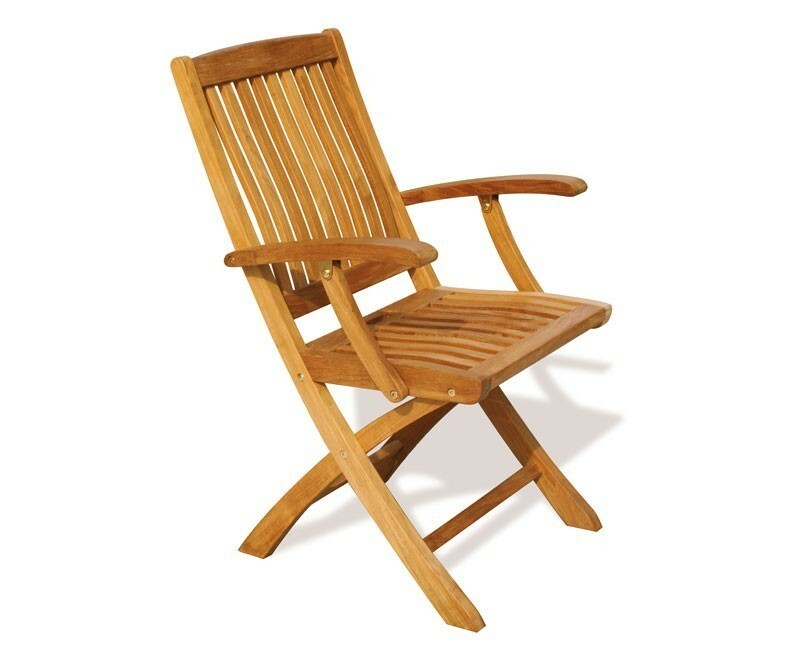 Easily incorporate this teak garden dining set into your outdoor setting for the ideal space-saving dining solution. 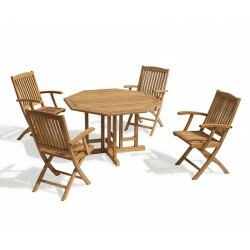 This four seater octagonal garden dining set has been robustly constructed from durable, sustainable grade-A teak for excellent quality, durability and aesthetic appeal. 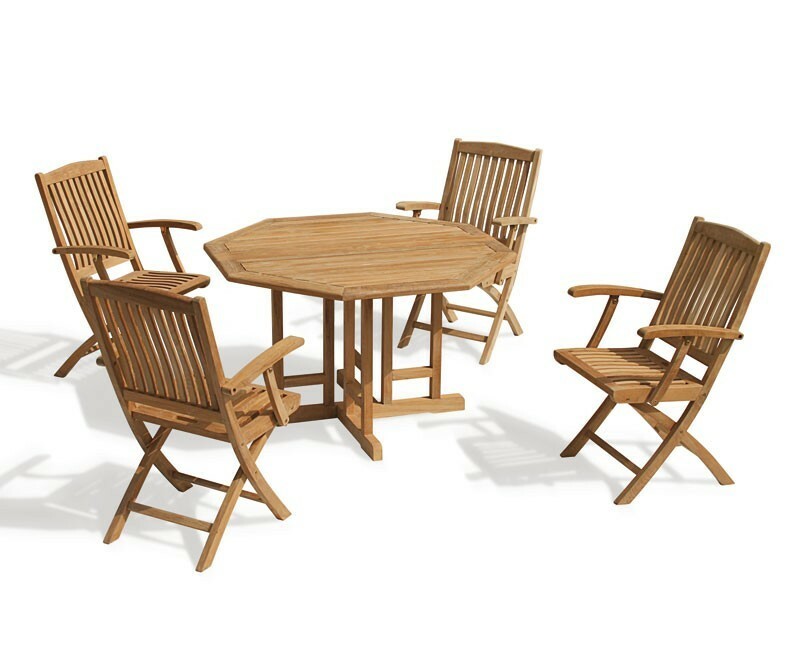 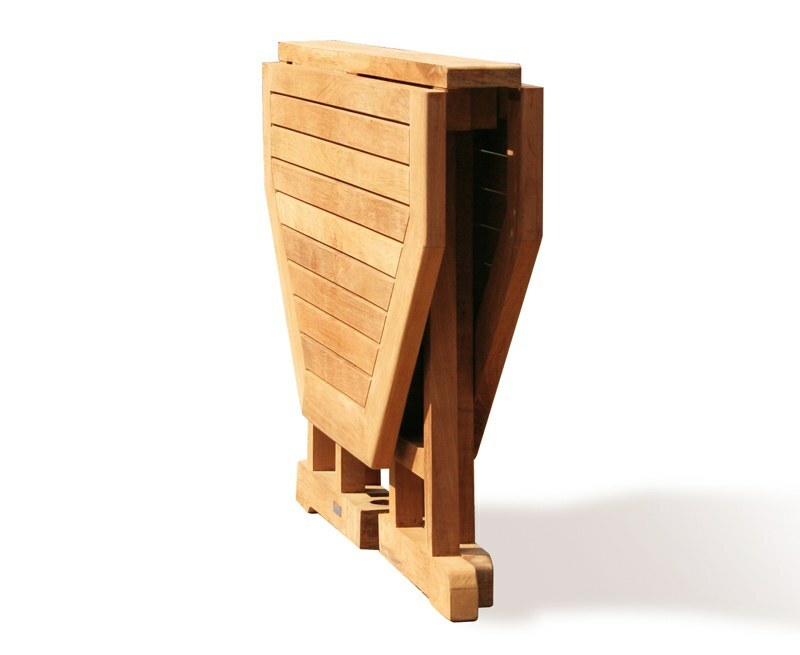 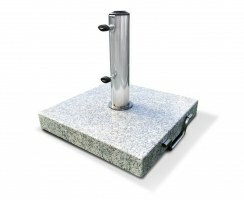 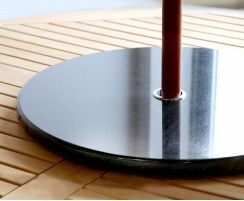 This garden dining set requires only little maintenance, so you can spend less time looking after your garden furniture and more time enjoying it. 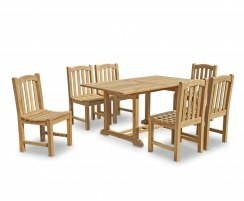 This Berrington octagonal gateleg table and chairs set will be delivered fully assembled for your immediate enjoyment.